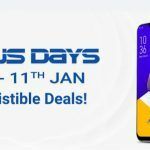 The Asus Zenfone 5Z will sell with a massive discount of Rs. 5,000 during the Flipkart Big Billion Day Sale. Should Amazon, OnePlus 6 and POCO F1 worry? Asus Zenfone 5Z will be available at a deeply discounted price during the upcoming Flipkart Big Billion Days Sale. The Indian eCommerce platform will sell the capable mid-range Android smartphone at a Rs. 5,000 discount. Needless to mention, the price drop puts the Asus Zenfone 5Z’s direct competitor, the OnePlus 6, at a significant price disadvantage. The Flipkart Big Billion Day Sale will kick-off from October 10 and end on October 14. The deep-discount sale on smartphones and mobiles, however, begins on October 11. Incidentally, besides Flipkart’s sale, customers will get an opportunity to grab lucrative deals from Amazon India as well. The OnePlus 6 smartphone is part of Amazon Great Indian Festival. 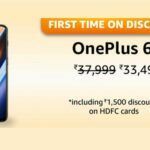 But given the discounts Flipkart is offering on the Asus Zenfone 5Z, Amazon may have a hard time selling the latest OnePlus smartphone. 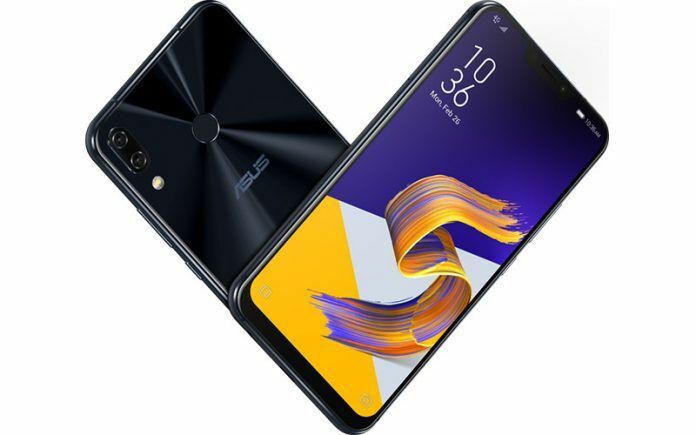 Let’s look at the price, offers, and features of the Asus Zenfone 5Z. 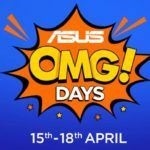 Asus has announced an interesting and lucrative ‘Flagship Deal of The Season’. 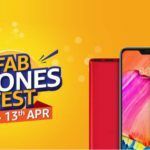 Through an official Press Release, Asus confirmed that all variants of the Asus Zenfone 5Z will be discounted by a flat Rs 5,000 during the Flipkart Big Billion Days Sale. Although the press release mentions October 10, mobile phones will start selling at deep discounts from 11th October from 00:01 midnight onwards. The base variant of the Zenfone 5Z usually retails at Rs. 29,999. As part of the sale, the base variant of the smartphone will retail at an effective price of Rs. 24,999. Incidentally, this variant packs 6GB of RAM and 64GB of internal memory. The 6GB RAM + 128GB internal memory variant of the handset sports a list price of Rs. 32,999. After applying the discount, the selling price will drop to Rs. 27,999. With the Rs. 5,000 discount, the high-end variant with 8GB RAM and 256GB internal memory will end up costing just Rs. 31,999. Smartphone enthusiasts will quickly point out the POCO F1 with 6GB RAM and 64GB internal memory starts at just Rs. 20,999. 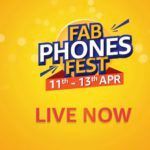 However, in addition to the deeply discounted prices, Flipkart is extending even more appealing offers to Flipkart Plus Members, HDFC Credit and Debit Cards, and on financial instruments from other institutions as well. For example, Flipkart is offering HDFC Credit and Debit cardholders an additional 10 percent discount over the effective price. Moreover, under an exchange program, Flipkart is offering an exchange bonus of about Rs. 3,000. This nearly eliminates the price difference between Asus Zenfone 5Z and the POCO F1. The Complete Mobile Protection Plan which sells for Rs. 799 is available for just Rs. 99. Moreover, Rs. 99 extra assures buyers get at least 50 percent value if they return the device within 8 months from purchase. With regular updates and feature additions, the Zenfone 5Z is a great device. 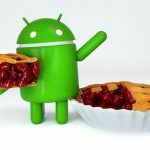 Moreover, the smartphone could soon get Android 9 Pie update. The ZenFone 5Z has a 6.2-inch Super IPS LCD display with 1080 x 2246 Full HD+ resolution with a notched display, 19:9 aspect ratio, and a 90% screen-to-body ratio. Qualcomm’s current flagship processor Snapdragon 845 mobile chipset clocked at 2.8 GHz and paired with an Adreno 630 GPU, powers the smartphone. It features a 12MP+8MP dual camera setup on the back and 8MP front-facing camera. The smartphone includes stereo speakers with NXP 9874 Smart AMP, DTS Headphone X, Dual 4G VoLTE, rear-mounted fingerprint sensor, Face Unlock, and a 3,300mAh capacity battery with ASUS BoostMaster technology for Fast Charging.